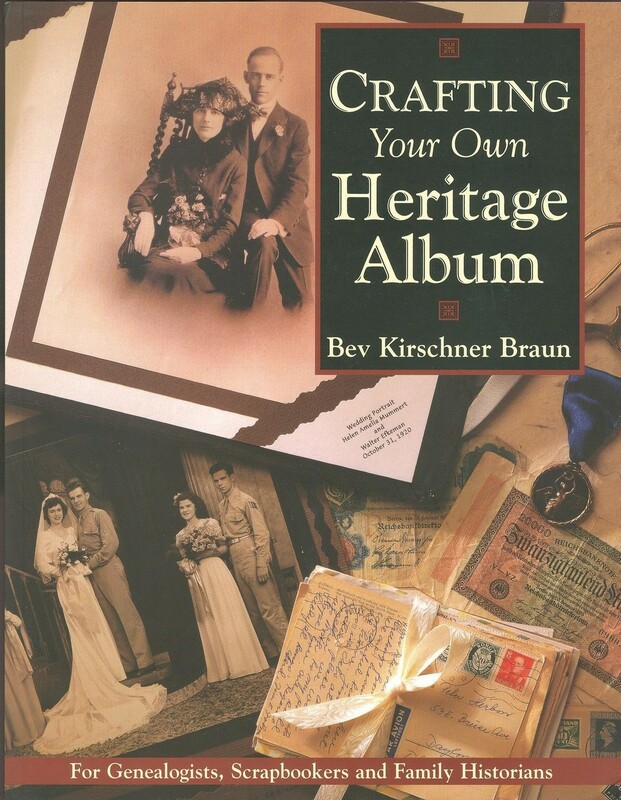 Crafting Your Family Heritage Album by Beverly Kirschner Braun (2000, Paperback) ISBN-10: 1558705341 ISBN-13: 9781558705340, Synopsis Learn to create an elegant album of family history that weaves genealogy, family lore and tradition with cherished photos, documents and memorabilia. Product Identifiers ISBN-10 1558705341 ISBN-13 9781558705340 Key Details Author Beverly Kirschner Braun Number Of Pages 128 pages Publication Date 2000-03-01 Language English Publisher F W Media, Incorporated Additional Details Copyright Date 2000 Illustrated Yes Dimensions Weight 19.6 Oz Height 0.6 In. Width 8.5 In. Length 11 In. Target Audience Group Trade Classification Method LCCN 99-033680 LC Classification Number CS14.B73 2000 Dewey Decimal 929/.1 Dewey Edition 21 LIST PRICE: 24.99 REVIEW: · I love the book. It has so many wondrful ideas in it. I have not used it yet , but plan to use it in the near future. The hard part is picking out which one to use. Eventually I will use all the ideas, but can not do all at once. Powered by Turbo Lister The free listing tool. List your items fast and easy and manage your active items.